July 2, 2012  As we approach Independence Day, it seems clear that there will not be a significant "independent" presidential candidate competing against President Obama and Mitt Romney this year. June 25, 2012  While I imagine there are some out there who await the Supreme Court's ruling on health care policy, I'm convinced everyone is excited about this week's ScuttleButton puzzle. And can you blame them? 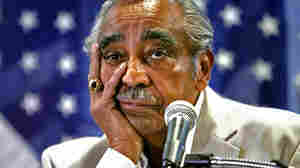 June 25, 2012  Charles Rangel's long career in Congress is at risk in Tuesday's New York primary. He is 82, faces a redrawn district, and is coming off being censured by his colleagues. June 19, 2012  Now that President Obama has relaxed his deportation policy, you now have more time to figure out this week's ScuttleButton puzzle. 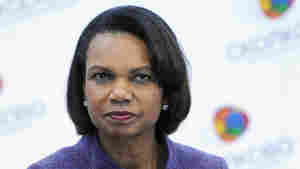 June 19, 2012  It's been 40 years since the break in at the Democratic National Committee. The scandal ushered in 91 new members of the House — mostly Democrats. Who exactly were the "Class of '74?" And what happened to them? June 12, 2012  Sure, you can ALWAYS find a challenging and inspiring ScuttleButton puzzle to solve, one that keeps you on pins and needles trying to figure it out. This week's puzzle, however, is not one of those.